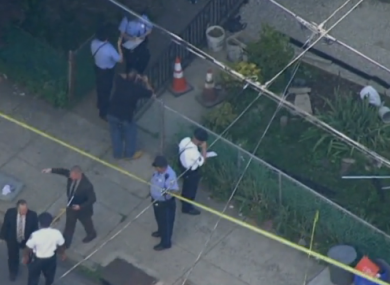 A 13-YEAR-OLD Philadelphia boy who was playing with a gun with several other teens has died after he was shot in the face. Police say the teens were playing with a gun in the backyard of a home last night when the gun went off, striking the boy once in the face. He was taken to a hospital, where he was pronounced dead. The boy’s name was not immediately released. Local station NBC10 quoted a friend of the family as saying the boy’s father tried to help him. “I ran back there and saw him back there,” said Slyde Huntley. Police say they’ve recovered the gun they believe was involved in the incident. It is not clear who the gun belongs to. Email “Teenage boy dies after being shot in the face while he and friends were playing with a gun”. Feedback on “Teenage boy dies after being shot in the face while he and friends were playing with a gun”.